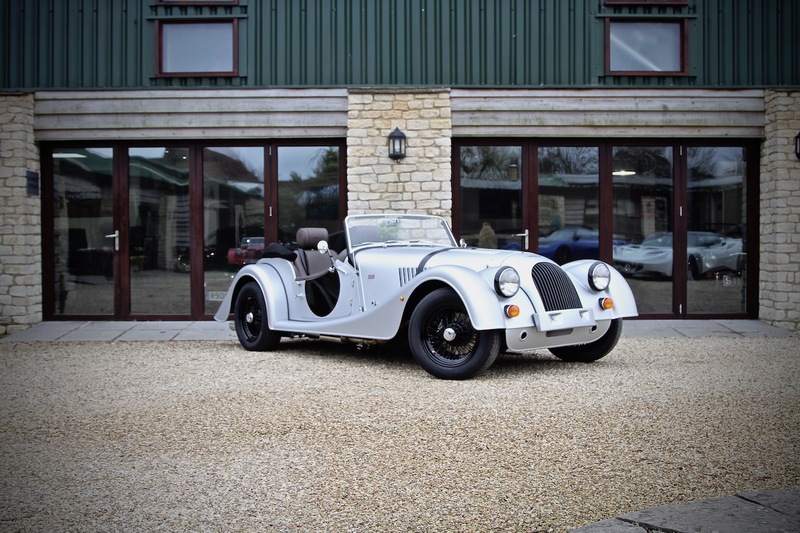 Williams are delighted to offer this absolutely stunning NEW 2019 Morgan Plus 4, 2.0 GDI 110th Anniversary, finished in beautiful Matte Silver Metallic over Cuba Brown leather trim. This absolutely gorgeous colour combination is a real modern take on a classic vehicle, and comes fitted with a host of factory options. You really need to see this car in the flesh to appreciate its beauty. Williams Automobiles is a family run business that has been established since 1911. We are Morgan, Lotus and Caterham full dealers. Our services include: Sales New & Used Cars, Servicing, MOT, Upgrades, Trim/Leather Department, Race Team / Prep, 4 Wheel Alignment. Our new cars carry the full manufacture warranty and we carry and number of each in stock for those that can’t wait for a new build. All of our used cars come with a new MOT, Pre Delivery Inspection, Up to date Servicing, Full Detail and Warranty. Full finance options are available on any age car. We offer both Conditional Sale (straight loan) and Hire Purchase with balloon (final payment). We try to run an appointment only business so we can dedicate quality time to you the customer in your search to find your perfect sports car. We are situated on the edge of the Cotswolds and on our door step we have the perfect driving roads full of twists and turns, dips and rises to show you why this is the ultimate drivers car. We look forward to welcoming you to our award winning dealership.